Area Req : 1000 - 1500 sq. ft.
Adara is a reliable & trusted name for authentic Ayurveda based spa & salon therapies and holistic wellness treatments.Adara is a multidisciplinarybrand backed by more than a century old Vasudeva Vilasam Group – engaged in retail,wellness and curative healthcare segments in India. 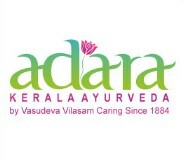 Why Franchise with ADARA KERALA AYURVEDA? Highly qualified team of doctors with rich experience in Ayurveda domain. Professional management operating multiple Ayurveda centres. Exclusive guidance, training and operational support provided. With the goal of spreading health and well being through Ayurveda, the Vasudeva Vilasam Group aims to expand their presence. Target customers for the Adara Ayurveda franchise business are people for all classes, in particular those that suffer from medical ailments; and providing homemakers and professionals with with access to Ayurveda and spa services. Successfully operating many wellness centres, the company is now inviting partners to join Adara Ayurveda in different formats. Set up Adara Ayurveda will assist the franchisees in complete set up of the Adara Ayurveda centre, including location selection, interior designing and architecture. Recruitment Adara Ayurveda support franchisees in recruiting skilled manpower from approved vendors and references for the centre. Training Adara Ayurveda will conduct training program regardless of the franchisee's experience, covering operations, administration, vendor management, accounts management and marketing. Training in Ayurveda treatments would also be provided from time to time. Operations Manual Adara Ayurveda will assist the franchisees in complete set up of the Adara Ayurveda centre, including location selection, interior designing and architecture. Advertising & Promotions Adara Ayurveda will organize events specific to marketing/branding for 'Adara Ayurveda' at the regional/national level, including participation in events, tie-ups with publications, etc.